If you’re good at DIY furniture projects you might have a coffee table made from a shipping pallet. If you’re not then enjoy the next best thing: Pallet Coasters. 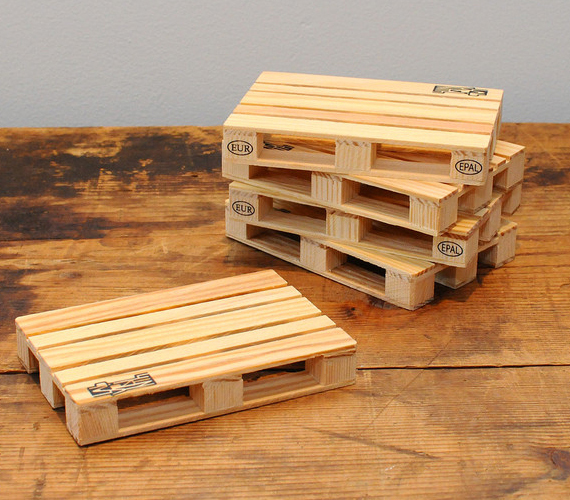 Each set contains 5 coasters designed to look like miniature shipping pallets. The coasters are made of real wood and designed in Barcelona.